This post first appeared as an article in the May/June, 2017 issue of Association Leadership magazine and is republished by permission. Ransomware may have finally replaced Millennials as the most hated and feared thing in the modern office. As a Millennial, I find this darkly refreshing; I’m less disliked than a criminal industry that extorted more than $1 billion from American businesses last year. All jokes aside, Ransomware is a very serious issue, and it poses a threat to every organization. Ransomware is a form of malware that infects your computer, encrypts your files, then demands a ransom. 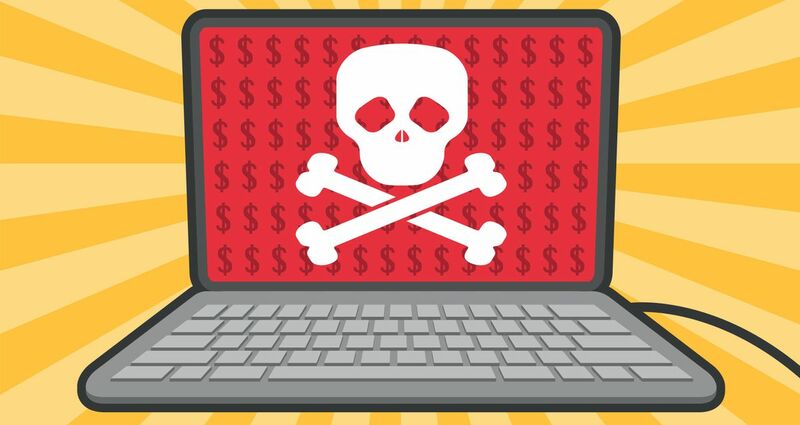 In 2015, Ransomware cost American companies about $1.5 million. As I said above, in 2016 that number had grown to more than $1 billion. If this were a legitimate industry, we’d all be fools not to invest in this unbelievably fast-growing market. Most antivirus/antimalware programs are inadequate to stop these attacks. There are more than 400 types of Ransomware, and more are found every month now. There are attacks that don’t just attack your computer; if you’re on a network, they attack your coworkers’ computers too. The FBI reports that ransoms generally fall between $200 and $5000. Per user. If your office is not prepared for ransomware, you have two choices; pay the ransom or accept that you lost your data. The problem with paying is that there is no guarantee that you can get your data back, or that you won’t be attacked again immediately after--you’ve already proven that you’re willing to pay to protect your information. The criminal might also leave a “backdoor” into your network meaning that they’ll keep looking for data even after you’ve paid them to go away. If you don’t pay the ransom, you lose your files. Generally, the targeted files are Word documents and image files. They know that most people work mostly in word, and that most people have personal photos they can’t replace. Too often, people can’t afford to not pay the ransom because of the files they risk losing. While there are hundreds of specific “breeds” of ransomware, let’s just look at the three most common forms of ransomware delivery, and compare them to some natural predators. Ransomware Attacks as a Snake, Spider, or Shark. Thinking of ransomware as predators avoiding the “pay or lose the data” choice becomes fairly easy. Some ransomware is like a rattlesnake. It lets you know from a long way off what it is and to leave it alone. Perhaps the most common form of ransomware-delivery is through an infected email. The email either has coding embedded in an image, or begs you to click a link that unleashes something horrible. Sometimes these emails look like they come from a loved one or coworker. Sometimes they look like they were composed by someone who briefly knew an English-speaking person, and is now trying their hardest to remember basic sentence structure. Regardless, if your friend is suddenly emailing you about a “great investment opportunity” or “Amish singles looking to mingle,” do not open the email or click the link. This is a rattlesnake, rattling as loudly and clearly as it can—stay away. You can avoid a lot of risk by investing in a decent spam filter for your email, and antivirus for your computer. I know I said most antiviruses can’t stop ransomware, but you’ve got to have some form of defense, and an antivirus can stop some of the lower-level attacks. You avoid rattlesnakes by listening to their rattle, and then not provoking them. You can remove a lot of risk of attack by looking out for the telltale signs of ransomware—oddly worded emails or nonsensical messages from someone you know. If you want to be sure that Aunt Maude really does have an “exciting business venture,” give her a call. It could save you a major headache. And remember; there are no Nigerian royals—ignore the deposed prince. Some ransomware is like a spider. It hangs out in a scary place waiting to trap you. There are websites we all know not to go to at work. Mostly, people do a good job of avoiding adult-themed websites. But viruses and ransomware don’t just hang out in the dark corners of the internet. Without a doubt, the most common way I’ve seen people with decent spam-filters get ransomware is by downloading a “free” service or product online. Cute screensavers have taken down more systems in my experience than any site intended for mature audiences. Nothing on the internet is free. Nothing. Download a pirated movie? You’ve broken the law and most likely been punished by the crook that enabled you. Like a fly in a spider’s web, you’re pretty much stuck once you download an infected file. The trick is avoiding the webs. If you’re at work, stick to websites you know are trustworthy, and if you have to download something—Chrome or Firefox, for example—be sure that you’re on a reliable site when you hit that “download” button. I speak from experience. Once I was rushing through setting up a new computer, clicked on the first site that I saw to download Chrome, hit the big, green “download” button, and sure enough—got infected. The website was a sham—not an official site. I had to wipe the computer and start over. Not a big deal with a new computer, but if you have your files saved on your computer, you’re in trouble. Some ransomware is like a shark. You can do everything right, swimming about as an innocent fish, and it’ll still seek you out and get you. This is where the metaphor stops. Because unlike fish, you don’t die the moment you’re hit by a shark. And unlike fish, you can hide your most vital data in The Cloud. Ah there’s that term again—The Cloud. Ransomware only works if your data is stored on your computer or your server. If its stored locally, cyber-criminals can lock you out. But if your data is saved offsite, in server owned by a multimillion (or billion) company that has one job—protecting your information—its much more likely to be secure. If aa cybercriminal goes through the trouble of attacking a major company, they honestly don’t care what information your average Texas Association has. They’re going after Citibank or Target. I store all my information in The Cloud, through a reputable service. If I were to be attacked by Ransomware today, I wouldn’t pay a dime. I would wipe my computer, reset it, and start working again within a couple hours. It would be inconvenient, but there is zero risk to my company or my wallet. Carefully listen for ransomware’s rattles: out-of-the-blue messages that make no sense. Avoid the scary places online: if it’s free, it’s scary. Prepare for the worst: plan a move to The Cloud, then follow through.